Weddings in India have multiple shades and flavors and carry an aroma of its variant cultures. Your wedding invitations, sweets boxes and other personalized accompaniments are just the beginnings to suggest your wedding theme to your guests. Whether you dream of a Rajwada elegance, or are a Bollywood/Hollywood movie freak, whether you love the smell of fresh flowers or love to shake a leg the Egyptian gypsy style, Blarose has all the support, advice and means to accomplish your dream. Our Wedding Theme section will help you put down your thinking caps just where you need to. 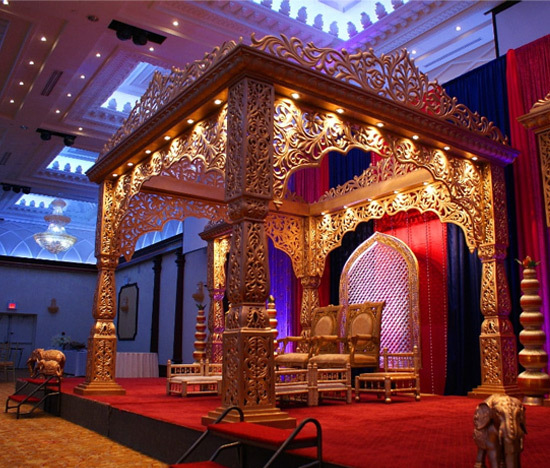 We will help you choose your favorite theme from amongst our entire range of unique Wedding themes. Be it a nostalgic vintage look that reminds you of bygone days or a rustic yet stress-free countryside ambiance, be it your favorite Sports theme or your love for Fairytale characters, we know how to style your wedding event on any theme you choose. If colors inspire you, or you love the look of a particular season, or you want to show the guests that you love travel & books, Blarose will help you tie in your unique theme. Select the theme that you envision for your wedding from amongst our list of Hot Favorites, Colors and Classic themes. For more details on Blarose Wedding themes and packages please contact us.